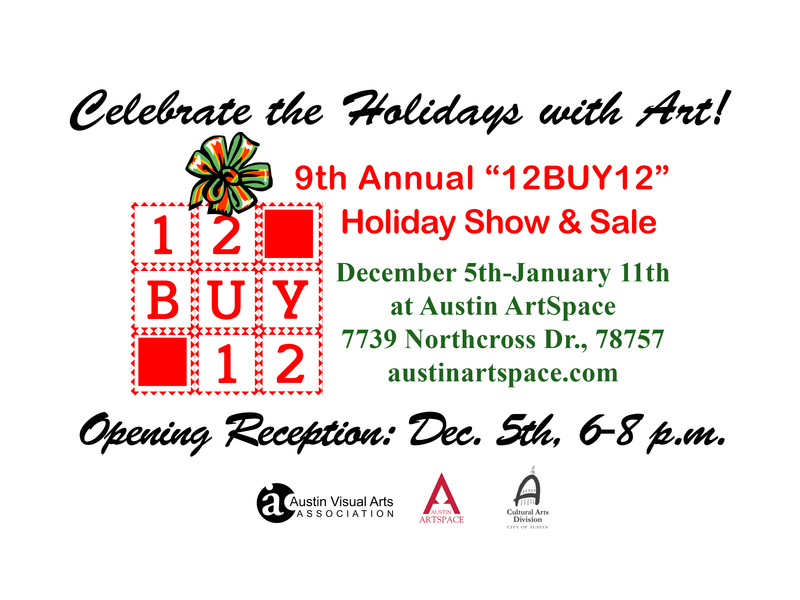 You are invited to celebrate the holidays with us at the 9th Annual “12BUY12″ Holiday Art Show & Sale. 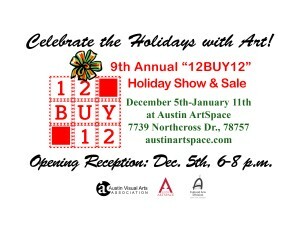 The holiday sale features works by more than 40 local artists. These original works make great gifts. Plenty of parking, one-of-a-kind gifts, great shopping experience. Thank you for supporting the arts in Austin and for supporting local business!